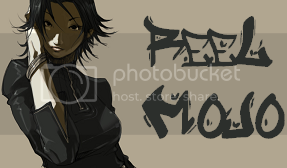 There are 10 posts in this thread, and it has been viewed 7925 times. Pocket Tennis Color. What do you think of it? Tennis video games like the early Activision Tennis or up to the Virtua Tennis series always fascinated myriads of players worldwide, regardless of whether they actually knew real-world legends like Roger Federer, Rafael Nadal or Andre Agassi. 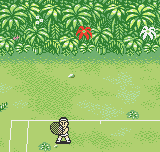 Therefore it's a wonder that SNK missed to bring out a Tennis title for one of their arcade platforms. 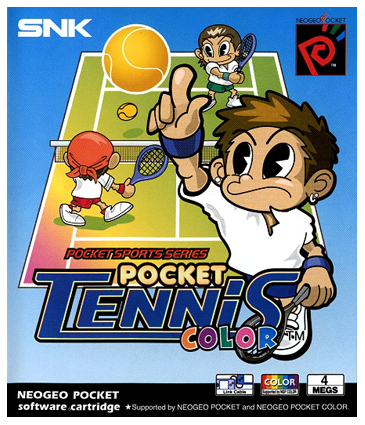 But eventually (and with the help of good ol' pal Yumekobo) they finally released Pocket Tennis Color for the NGPC in 1999. If you're tired of the not so realistic (but hell, awesome) Windjammers on the Neo Geo, why don't you try out this one then? 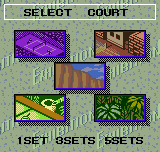 Pocket Tennis Color is a game from the Pocket Sports series for the Neo Geo Pocket Color. It features eight main characters with two secret, unlockable tennis pros. Handheld athletes can engage in both Exhibition and Tournament events, with Exhibition matches offering a selection of customizable options including court type (five are available, though the fifth is exclusive to Vs Match Play) and match length (one, three, or five sets). Anyone interested? Well, if that's the case, please write so in your post or send Priest or Murikov a PM. Looks fun. Tennis is one of the few sports I enjoy playing in real life although I haven't played in a few years. The Activision Tennis that you mentioned for Atari 2600 was actually one of my favorite games on the system growing up. Such great, highly competitive memories! Since I recently got a NGPC I'll probably pick this up somewhat soon. You can't go wrong with Yumekobo. I had this game when I was collecting NGPC. As mentioned before, the CPU really is to easy. This game doesn't last long. It could however be really great, playing via link-cable against a friend. I have it for NPC and it's a nice, decent sports title to have. Although I find it a little bit too slow, you can have same nice matches in the beginning against CPU. I agree with Henke, the CPU isn't good enough anymore when you get better. 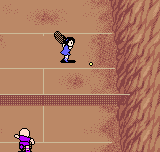 Now I'm thinkig about other tennis games, Super Tennis (SNES) is by far the best tennis game EVER made. 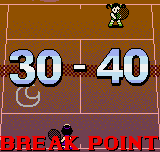 Sensi wrote:Super Tennis (SNES) is by far the best tennis game EVER made. Have you ever played Virtua tennis 1 / 2 for the SEGA Dreamcast / NAOMI? Yep, I have VT1 and 2 for DC but the feel is totally different. I like the faster action of Super Tennis I suppose, especially the Multiplayer (co-op) of Super Tennis is unbeatable. It's a bit nostalgia of my childhood I must admit ( I haven't played the game since) but hitting a succesfull crossball against the superb CPU was magic. Never played this one but I watched the video and it looks very good. 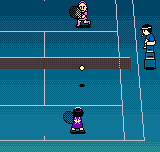 I love tennis games and if I had a NGPC I would definitely buy this. Best tennis game ever you say? That would be Smash Stars by Capcom. 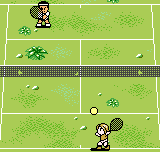 A Neo Geo tennis game could have been amazing. I would love to see NG Dev Team or Neobitz develop one but there's zero chance of that happening. Looks kinda fun. Once I get my spare NGPC front light modded, I might pick this game up. I do enjoy tennis games from time to time, but never played this one. It has not been on the top of my list of games I must buy on the NGPC.